Jade Integrated Health is excited to host a series of workshops designed around pivotal moments in a woman’s lifespan. This four part series will encompass different stages of life, major life events, hormonal changes and much more. Join our providers and instructors on this collaborative journey using yoga, acupuncture, and physical therapy to explore and learn about your body and mind as you travel through this amazing life. Find the workshop that will support and strengthen your wellness! Navigate the natural hormonal shifts in a 4 week menstrual cycle with Yoga and Acupuncture for a healthy cycle. This workshop explores how Tradition Chinese Medicine views the phases of a healthy menstrual cycle and integrates yoga poses and essential oils to support its natural rhythms. Our menstrual cycles often display patterns that reflect our wider health and from a Traditional Chinese Medicine (TCM) perspective they provide a useful insight. Rectifying underlying patterns can help to adjust your cycle as well as help with other symptoms that may seem unrelated. Even women whose periods are not disrupted, may gain insights into their wider health by looking at their cycles. 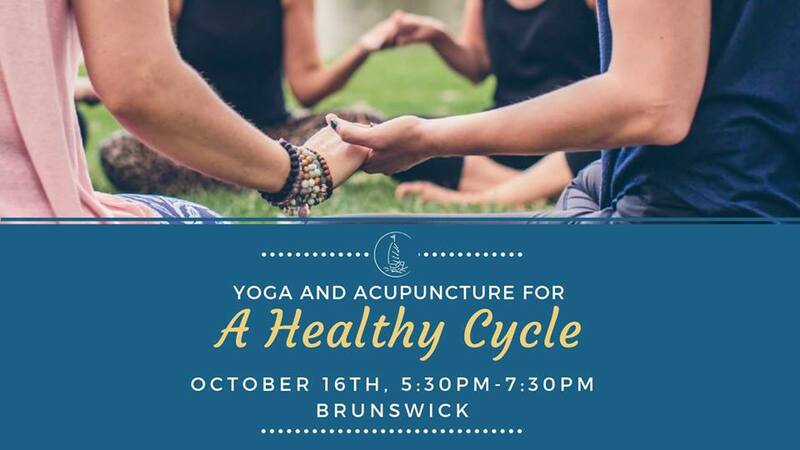 **Acupuncture will be provided according to each individual participant’s cycle. Flexible looser clothing is recommended to allow access to points on the abdomen, hands and legs to just above the knee.